I want to keep this blog as objective and truthful as possible, sometimes maybe too much so? Some of you have emailed me to know what I use (thanks for the emails by the way) and what products I would suggest, etc. 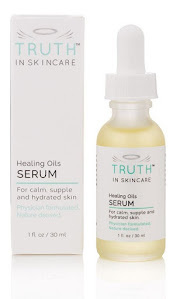 I've avoided talking about the products that I use because I don't see how that fits appropriately into talking about truths in the skincare industry. On the flip side, I also think, if I'm talking about all these products and companies and this is a personal blog as well, then I should shed some light on the products that I use as well. That's probably most fair! At first, the thought about posting about the products I use or come across in my life (which is a lot since I am continuously working on product development & formulation), seemed like a definite no-no. I mean, there's plenty of beauty bloggers that give their opinions on the more subjective aspects of products. But then I thought . . . hmmm. Actually, most of the beauty bloggers are about "girly stuff" or at least more aimed toward women and make-up. All good and great, but they don't really apply to me most of the time. AND THEN through my own unsuccessful attempts at trying to find a male in the beauty blogging world, I realized that there really aren't any! Whose gonna tell me about what shaving cream to use? What do girls like for us to wear? And on and on. Ok, so I won't be a regularly gushing male beauty blogger, but maybe I can be open now to the idea of posting about products I like (after all they do have to meet a lot of requirements, mostly safety and good formulation, to make me like them anyway!). I could overcome the problems of subjectivity by CLEARLY writing that this is a personal opinion, non-scientific observation disclaimer on the blog. On top of this, I think that many of you would appreciate hearing from a male perspective (and maybe help you with your approach to buying the men in you life better products). Most of my readers are women after all, so these posts can help you understand the male's perspective more, maybe? I'd love to hear you comments and opinions of your boyfriends/husbands/friend's mens products as well. Anyway readers, I'm leaving this up to you! Email me and let me know what you think. I've got a list of men's products that are waiting to be nixed or brought to life in these posts! I'll also set up a poll to have you all vote as well! P.S. I read all my emails (eventually!) and regularly get back, and no one else has access to them but me. So bare with me in getting back to you, as my life is BUSY BUSY BUSY, but I am dedicated to this blog and building it up! Oh yeah, please take a second to vote in the new poll! P.S.S. Even though I might add a feature like this to the blog, it won't lose its science-y nerdy aspect! Sorry guys! I'd would love to really know what products you use! Maybe you can say why you like it or why you use it. We can learn from why you choose the products you use. Love you site. Keep up the great work! I'm a guy and I read your site. I appreciate it and would like to hear what you say about specific products. Even to know what to expect out of them.